Well, folks, it’s a wrap. The Year of the Dog officially ends next week. And so does the Year of the Dog challenge. That was one year of dog-related posts. One year of insights into a dog’s world — with an occasional cat or squirrel post messing things up (as cats and squirrels tend to do). 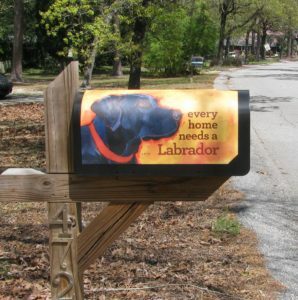 One year of riveting posts about yard flags, statues, mailboxes and mailbox wraps.